CrowsToes Making Christmas is a sinful mix of green, red, and silver microglitters. It spreads like a mother..ahem it spreads awesomely ;) Let me tell you something. I am in a lusty like relationship with my CrowsToes polishes. People who complain about the formula or the density of these polishes have surely not let their beauty touch their souls, aside from which I have never had any such problems, but oh well maybe I'm biased by all the the brilliance. Lauri is a freaking genius! 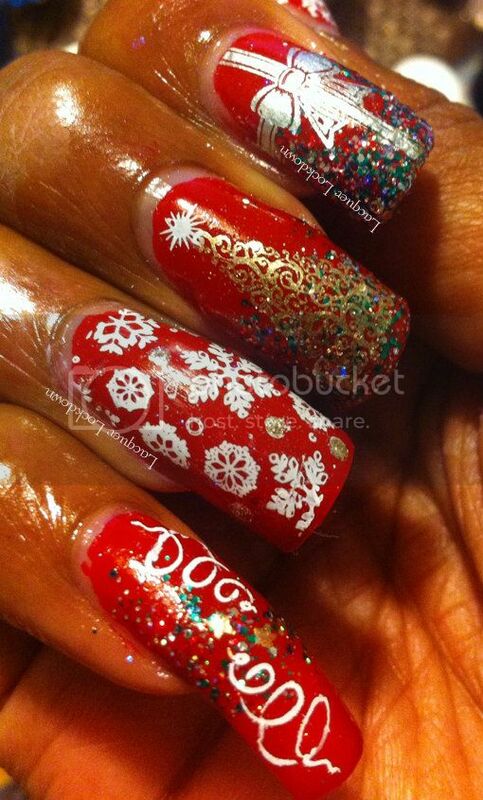 There hasn't been a single polish that I've seen by her that hasn't sparked a covetous grinch like desire within me. Also for the sake of full disclosure I purchased all of these polishes myself so I have zip to gain from singing their praises. Sugar Bubbles. Tamira why have you not mentioned this brand before? Eh cause its a new and happening Brazilian indie plate maker who recently stole all of my freaking heart. Love at first stamp? You betcha. I will throw a quick review together tomorrow of what I got from her so far but for now you can check my nail art supplies tab for the downlow. So here we are Making Christmas with Crowstoes. I love everything about this mani but all good things must end as I have so much more to show you. 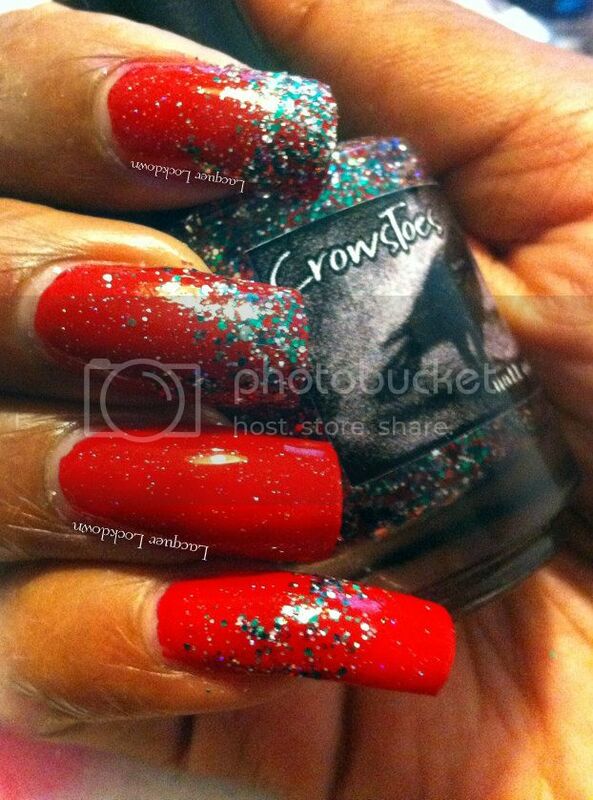 CrowsToes polishes can be purchased at either Llarowe or Overall Beauty, and Sugar Bubble can be found here. Thanks for reading and toodles! 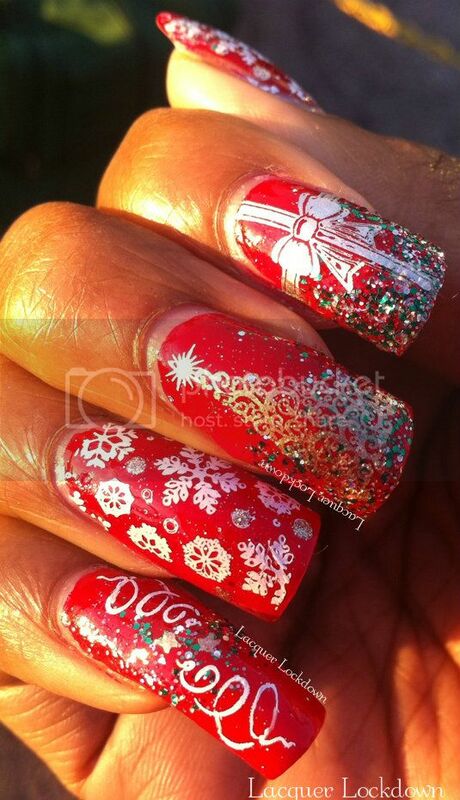 Perfect Christmas mani !! I love it !! Nope I couldn't get my hands on those special plates. I'm still waiting on the group buy plates :). Merry Christmas Love !!! Vicky darling thank you! My mum got them for me I'm also waiting for my group plates eh it feels painful hahaha! These are pretty! I love those snowflakes!